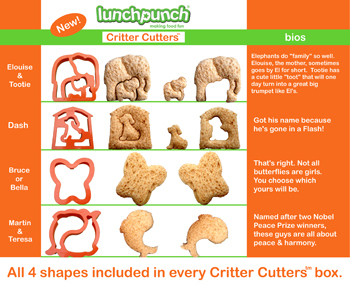 Make kids' lunches fun, easy and healthy with this fantastic Critter Cutter Lunch Punch! 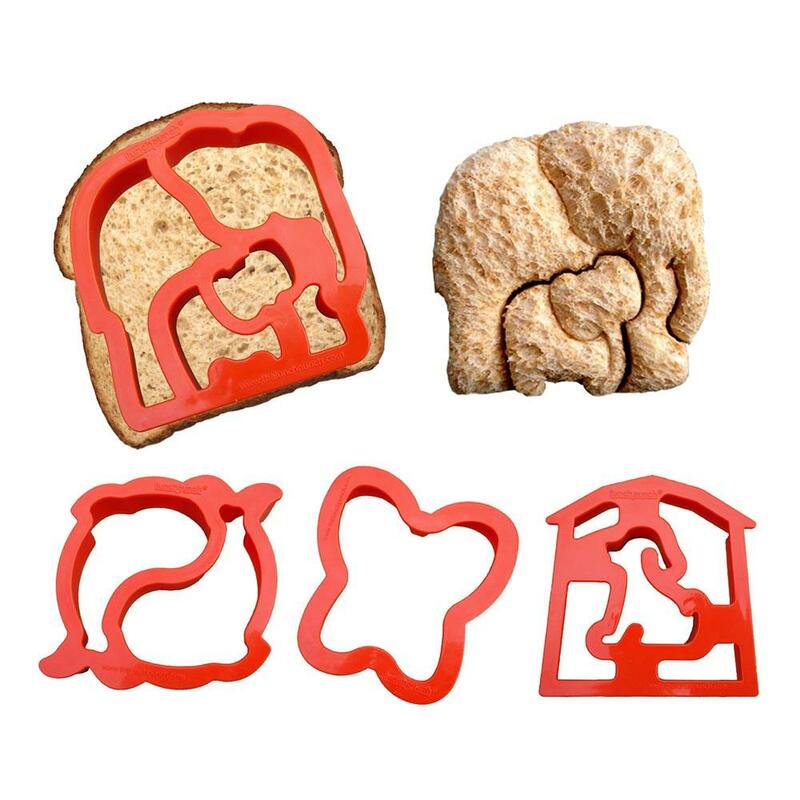 These 4 animal shaped cutters are designed for jumbo sized loaves and are shaped to remove the crusts while retaining the maximum amount of bread! 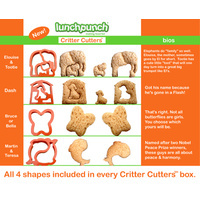 The Lunch Punch Critter Cutters are taller than your average cookie cutter, so it's easy to cut through two slices of bread and its contents while keeping the sandwiches light and fluffy! Kids will love making their own sandwiches with these creative critters, and they're great for parties too! 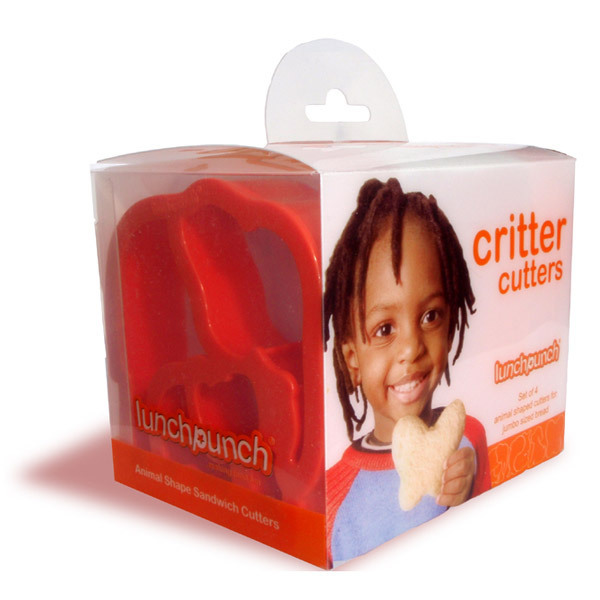 The Lunch Punch Critter Cutters are BPA free and made of fully ABS FDA certified food grade plastic, which means there are no nasty toxins and they are a rigid plastic, making them basically indestructible. The Lunch Punch is a brand new product invented by an Aussie Mum living in Melbourne with 3 young kids. It's made safely and responsibly in Ningbo, China by a team of highly valued, fairly paid workers in a professional and clean plastic injection molding factory that is constantly audited so it maintains its high standards. It's also personally backed by our CoolThings 31 day full satisfaction money back guarantee; although once you've made your first Lunch Punch sandwich we don't think you'll ever want to see it leave your kitchen again. So if you've got fussy eaters who you just can't get to eat their sandwiches, this is the perfect solution! Why not give it a try? Box Dimensions: 12cm x 9.5cm x 10cm. 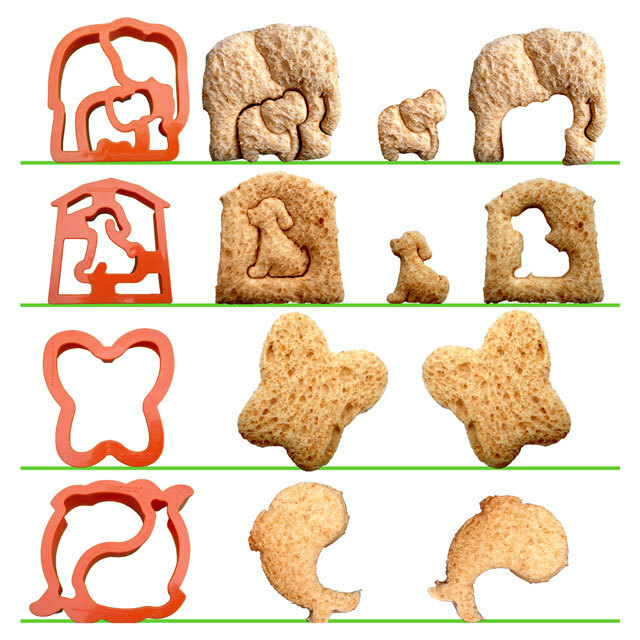 Each Sandwich Cutter (approx. ): 9.5cm x 9cm. WOW! The lunch punch critter cutters did what I had failed to do for the last 2 years. . . They motivated my fussy 5yr old into eating sandwiches!! She now asks for more than one and she loves showing them off at school. Her friends all want sandwiches made by her mum! I can't believe something so simple has changed our lives so dramatically!! I'd recommend these to any parent. The kids just love them. 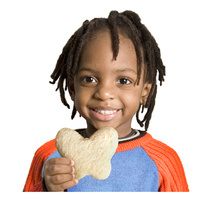 Great fun for the kids, especially fussy eaters. Friends and other kids love them. I have been waiting for someone to come up with this for years. 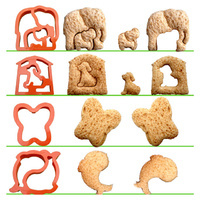 Now I don't have to use cookie cutters, this is a great one-step cutter. My daughters' school friends all want me to make THEIR school lunches! My kids love this and their lunches have become the talk of the pre-school.